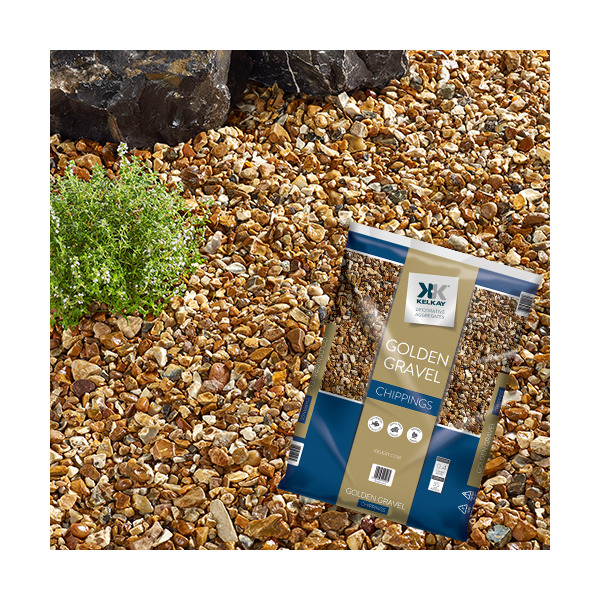 Kelkay Golden Gravel Chippings Bulk Bag: This Golden Gravel Bulk Bag consists of 18-22mm Golden Stone in warm shades of gold, sand and cream, giving this mix a summery feel. Ideal for; drives, paths, patios, alpines, rock gardens, plant pot topping, water features and aquatics. Gravel is ideal for deterring weeds in beds and borders making this gravel practical as well as stylish.